New Year, Martin Luther King, winter, snow days. There is a lot happening in January. Creative teachers can use these holiday and seasonal topics as a springboard to develop our students' creativity and musicianship. These resources may help! I am teaming up with many other music teacher-authors on Teachers Pay Teachers for a New Year's giveaway! Why? Well, I'll not gloss over the fact that we are looking for followers. 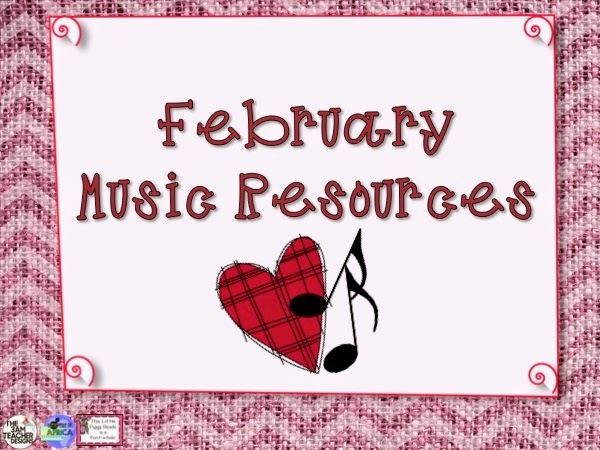 In my opinion, it is difficult to search for music teaching resources using the TpT search box because many products are tagged as music if they have any music or song associated, but they are not necessarily good for the elementary music classroom. That is where it helps to follow other stores that sell products specifically for our use in a music classroom. I get notifications from those sellers, and their products appear in the regular new products email from TpT. That email now contains only products that I am interested in! We are also hoping that those who have purchased products or downloaded freebies in our stores will take a few minutes and leave some feedback. Did you know that you can get $$ for leaving feedback on Teachers Pay Teachers? You can earn one point for each dollar spent, and 20 points = $1 credit on a future purchase. When I make TpT purchases I am often in a hurry! I need this NOW! Leaving feedback often has to wait for a later time. The holidays are over and school hasn't ramped up into high gear yet. This seems like a good time to catch up on that feedback! I hope you will take some time this week to follow some new music stores. If you find one that you haven't purchased from, download one of the great freebies and give it a test run. No purchase is necessary to enter the giveaway, and you can return every day to add new feedback for a new entry! If you download them, please take a minute to leave some feedback! 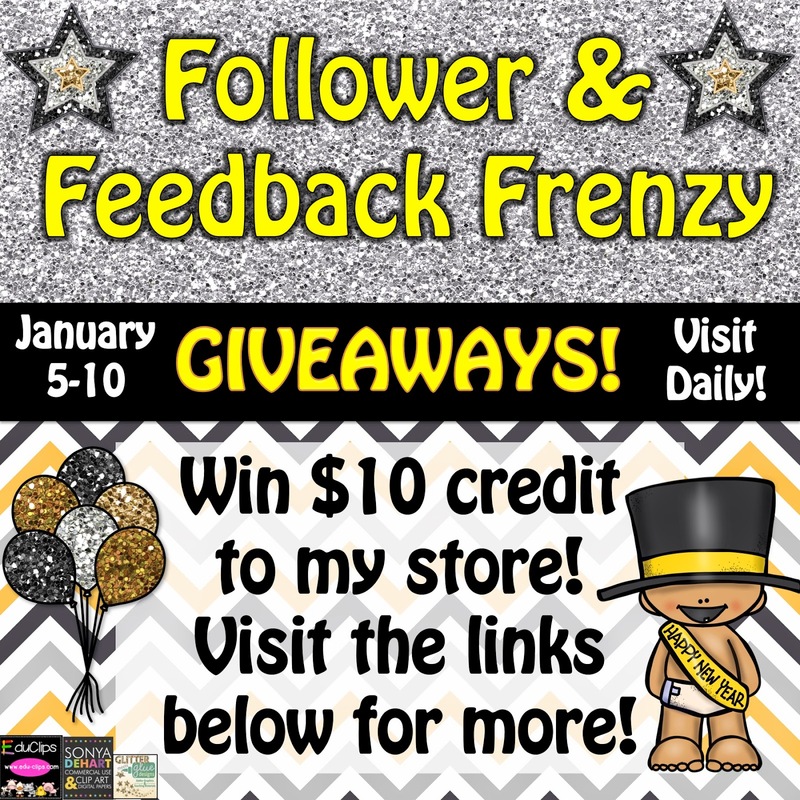 You can win a $10 TpT Store Credit to my store by entering the Rafflecopter below. The giveaway ends at 11:59 PM EST on January 10. The lucky winner will be notified by Monday, January 12. Click the links below to check out the other great giveaways! 1.) Save the Giveaway picture above, and include it in your blog post, with a link to this blog post. 2.) Blog why feedback and followers are important to you. 3.) Plan your giveaway for $10 credit to your store. 4.) Click the button below and add your information! I've usually avoided writing New Year's Resolutions! I always have a list of things to do and even some long range plans, but that tends to be ongoing with items rolling on and off the list. Putting resolutions down on January 1 for that very year - agh! How can I even think of anything on demand? BUT, I have read some great resolutions from some of my music blogging friends and it has challenged me to THINK! I'm joining in the resolution fun with Mrs. Miracle's Music Room. Personal: I really, really, really need to get back to exercising regularly! I have been teaching full time, serving as lead elementary music teacher for my district, taking master's classes, all at the same time. It seems that exercise time has been the thing that gets left out of this busy schedule. A wise old country preacher, Rev. Campbell Long from Temple, OK, once offered this advice in a charge to a new pastor: Distribute your neglect. What he meant was that there is never enough time to get everything done. Ever. Most of the time there will be something left undone on your to-do list, but you can't always skip the same thing. I don't really know exactly how to streamline things at school, but I simply must start leaving that school building early enough to get to the "Y" several days a week! Professional: I'm actually going to take the SMARTboard class this spring! I have been making Smart Notebooks for 5 years and have always just figured out how to do things on my own. By the time my district offered a Level 2 course, I was ready but they wouldn't let me take it because I hadn't taken Level 1. Ugh. I didn't want to spend the time in a course when I already knew the Level 1 stuff. :( Two things have changed. I got a brand new SMARTboard last month, and they will be offering the course AT MY SCHOOL! I won't even have to drive anywhere. No excuses this time! Classroom: This one is easy: organize all of my resources! 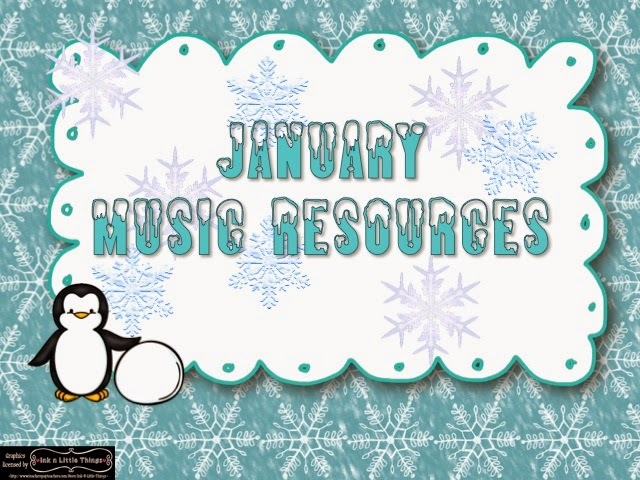 I really jumped in to TpT in 2014, and I have so many new resources from some of the best music teacher-authors out there. They have inspired me to prepare many of my own resources for publication. I plan to use 2015 to organize all of this great stuff and make definite plans for which grade level will get to use which resource and when will they all fit into my pacing guide. I think I should also practice a little restraint when it comes to purchasing more goodies, but this is tough when there are so many great ideas coming from Teachers Pay Teachers! 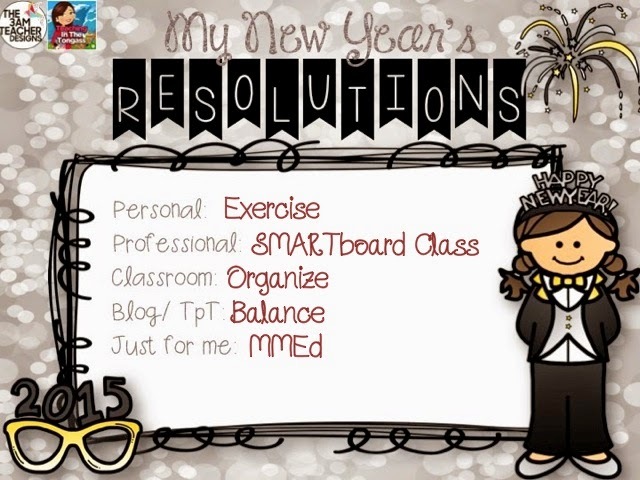 Blog/TpT: Establish a balance between creating new and sharing experienced resources. It has been just exhilarating to find that many people have been finding my resources useful in their classrooms! The first products that I uploaded to my store were tried and true resources that I have used and perfected in my classroom, dressed up to meet the clip art and font requirements of a commercial product. As I explored other music stores on TpT, I found that I also tend to get sucked in to the next new thing very easily. I began getting ideas for new things to create, and feeling a great sense of satisfaction when a product was finished. Of course, I needed a place to talk about music education, so this blog came to be. I would like to have more lesson ideas included here, along with the fun things like resolutions. So, my resolution is to balance the old with the new. Just for Me: I WILL finish my master's degree and graduate in May! There, I've posted it publicly! I have been on the slow plan, one course each semester and 2 in the summer, so it has taken me 4 years to get this far. I made a few mistakes last fall, and didn't get to graduate. I hereby resolve to take January to figure out where I went wrong, fix it, schedule my comps, study and take my comps and be done! We all know that school will get busy in February and March, and kids will get spring fever in April and May. My own graduate work needs to take a priority place right here at the beginning of the year. Thank you for reading my resolutions and thank you to Aileen Miracle for hosting this linky party! Well, 2015, here we come!